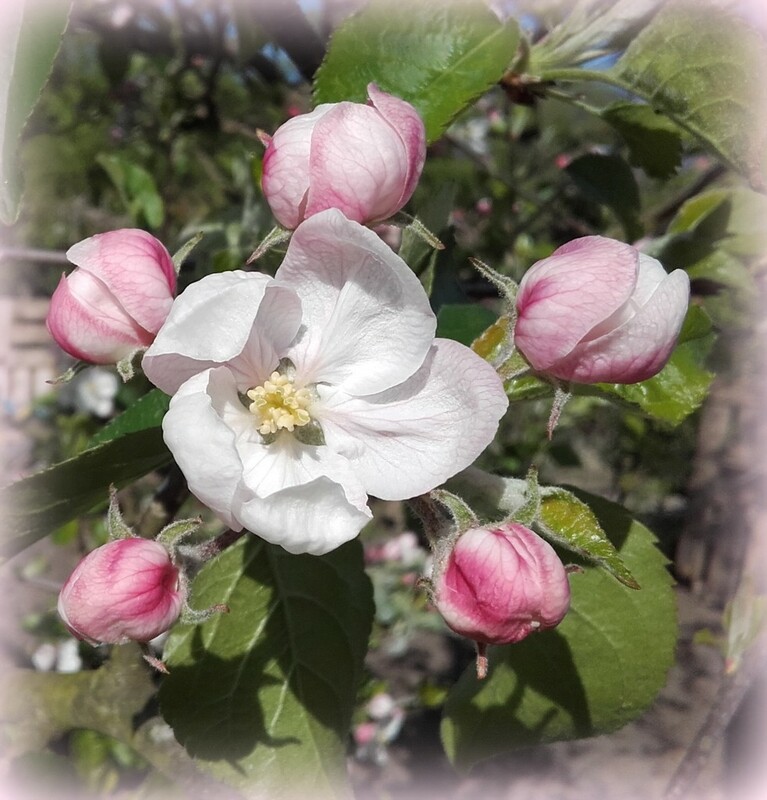 This is the apple tree on our allotment. I was struck by the arrangement of buds around the one open flower. Taken on my i-phone. Super clear and detailed shot. Very pretty Judith. Hope you get lots of fruit. Terrific detail and a lovely composition. Fav. These are just lovely! And such fab light to show them at their best! Phone cameras are so handy! So pretty and so nicely arranged. I love the soft colors. I love this Judith. Great shot - I love the detail on the petals and the arrangement of pink buds around the main flower. Your i-phone and you have done a great job.